A community race held at Beechtree Elementary School located at 3401 Beechtree Lane, Falls Church VA 22042 that was rescheduled from Dec. 9. Join us for our annual Beechtree 5k, all ages and schools welcome! Race was rescheduled from Dec. 9. Additional registrations are welcomed, but no additional T-shirts will be ordered. This community event has been held for the last 5 years and has been so much fun - we have Chips the Beaver and DJ Spinz to welcome all runners. This year we are using chip technology in the race bibs which will be associated with each runner and will record your time. 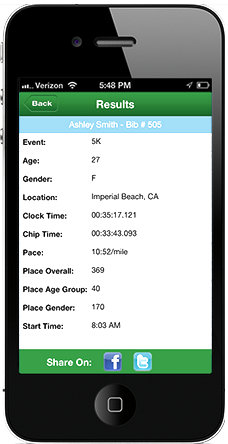 You are able to track your race results online and see photos of the event. T-shirts guaranteed to runners registered before November 28th. Warm Ups and Group Photo around 8:45am. Last minute packet pick-up and day of registrations begin at 8am. $25 for buddy runners and/or individuals over 18. Runners younger than 10 must run with a buddy runner. $15 for school age runners. There is a $2.95 surcharge for paying with a debit/credit card and registering online. You may register the day of the race, however there will be an additional $5.00 charge per person. Race winds through the neighborhoods surrounding Beechtree School. The course will be lined with volunteers in orange vests and police at any major intersections to ensure safety. There will be a water stop half way through the course as well as at the finish line. This is a certified 5k route which begins and ends in front of Beech Tree ES. For anyone coming to cheer on a runner, Beechtree offers plenty of cheering spots at the start/finish line. There are bathrooms inside the school available for your convenience. Friday, December 8th at the Beechtree Elementary School entrance from 4pm - 7pm. If you are running with a school club please speak to your coach prior to picking up your packet as your coach may have done so already. Please wear the race number that you picked up in December, if you have already picked up your packet prior to the snow postponement. Race day registrations are allowed. There is parking along Beechtree Lane and in the ES parking lots. The race will be held rain/shine/snow and there are no refunds. Please dress accordingly.